2011. By Dan Sperduto and Ben Kimball. A beautiflly illustrated guide to all aspects of New Hampshire's ecology and environment. 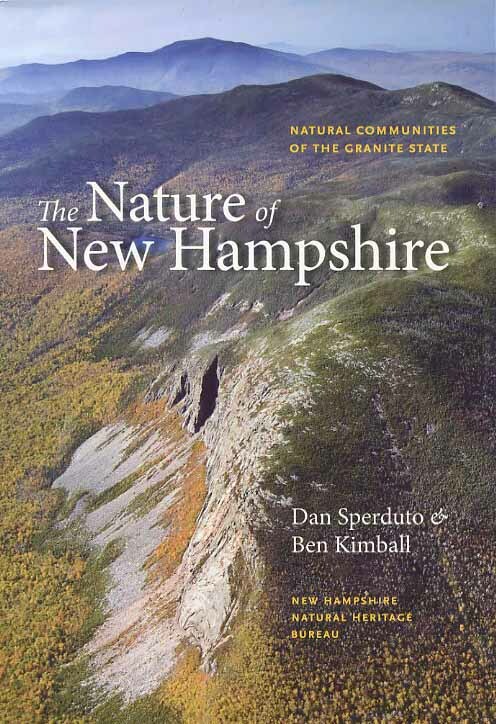 In eight broad chapters, this book offers a close and colorful look at the natural communities found in the Granite State and examines their important role in conservation planning and informed land stewardship. Includes dozens of beautiful color photogrpahs. Softcover. 340 pp.